The transformation of the LC coupe into a convertible seems like a no brainer. While we did hear rumors on the matter, now we have a confirmation (sort of). This is the Lexus LC Convertible Concept – a roofless concept car scheduled to debut at the 2019 North American International Auto Show in Detroit on Monday (14th, January). As it is based on top of the Lexus LC Coupe, the LC Convertible Concept looks gorgeous. Well, at least I think it does. 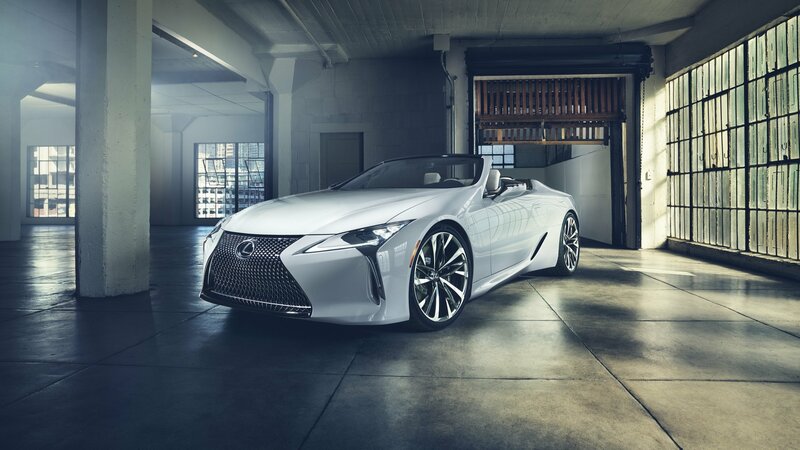 As Lexus prioritized the development of the convertible version of the F branded LC, I believe we will see the production version sometime in 2020. Interestingly enough, Lexus did not confirm the production version of the LC Convertible Concept, but I guess it is likely to happen.